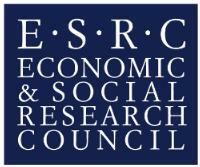 Impact Fund- Up to £20000 per application for projects to create impact from social science research. Follow-on Fund- Up to £5000 per application. Funding for the continuation of previous Impact Fund projects. NGO Data- Up to £10000 per application for impact projects utilising data from NGOs. The University has been awarded funding to explore opportunities for data reuse within Nongovernmental Organisations (NGOs) and implementation agencies that operate in an Official Development Assistance (ODA) context. Potentially valuable data on developing countries are held by NGOs, though much of it is currently unavailable or unknown to researchers. This IAA additional funding stream will enable existing partnerships or the development of new partnerships with NGOs/agencies operating in an ODA context, to discover the extent and quality of the data being held and what potential there is for developing further research projects or realizing the impacts from this data that benefit low and middle income countries. The maximum funding request per project is £10 000. Projects must be ODA compliant. Funding must be spent by 31 March 2019. Further details and application forms can be found here. Completed application forms should be emailed to to researchstrategy@admin.cam.ac.uk by 1st June 2018 latest. Applicants should ensure they comply with any internal departmental deadlines for signature before this date.